We’ve reached the month of December which can only mean one thing, Christmas is only a couple of weeks away! Most people will be looking far and wide for presents still so if you fall into this category, don’t panic as Wineware are here to help! If you’re looking for presents for the wine enthusiast in your life, you’ve come to the right place as we’ve listed our Top 5 Wine Gifts for Christmas. From Aroma nosing kits to various glassware and educational wine maps to wine travel bags to protect wine bottles, we’ve got a large a varied collection of a whole host of presents that are perfect for a wine lover! Finding the perfect wine gifts has never been so easy thanks to Wineware, take a look across our entire website and we’re sure you’ll find the perfect gift for your family and friends. 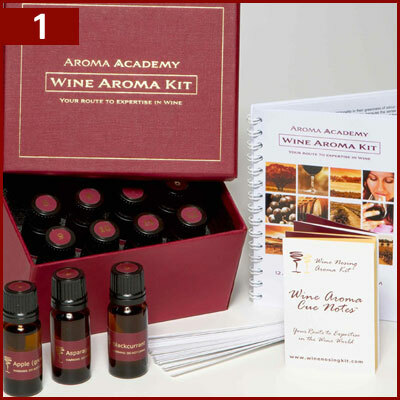 Wine nosing aroma kits are a must have gift for a keen ‘wineo’ this Christmas! The idea of aroma kits is to test and educate your wine knowledge further, detecting the different aromas that can be found in different wines. Available in both different quantities and wine styles (red, wine, champagne etc), the various kits are a great way to test educate your nose for future wine tastings. We offer two different brands that produce wine nosing aroma kits, Le Nez du Vin which are produced in France and Aroma Academy which are produced in the UK, both offer slightly different variations. The De Long Wine Maps are one of our most popular items at Christmas and it’s easy to see why! 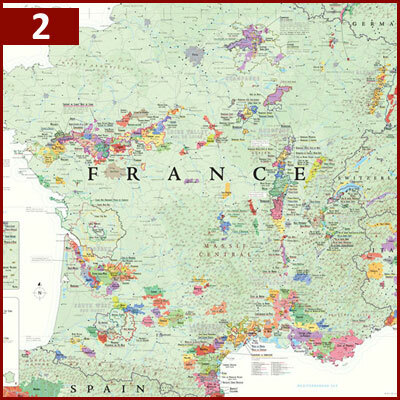 These educational wine maps are highly detailed, easy to read / understand, extensively researched and beautifully produced, covering all the major wine regions in the World. The various maps cover France, Italy, Iberia (Spain and Potugal), Germany, California and South America. There is also a Grape Varietal Table / Chart which is ideal for a keen wine enthusiast. This chart covers 184 of the World’s favourite grape varieties organised by body and acidity, perfect for finding where your favourite grape is commonly found, what the acidity levels are like and the character and notes. Here at Wineware we have a vast and varied collection of different wine glasses that are perfect for all types of wine and for any occasion! 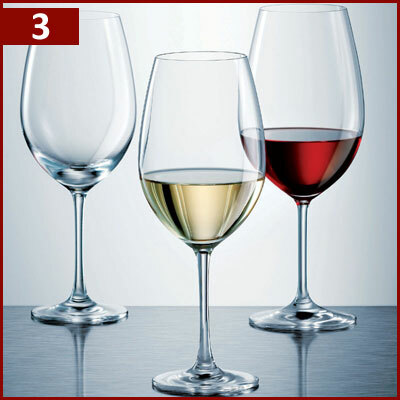 We stock wine glasses from world renowned manufactures such as Riedel, Schott Zwiesel, Zalto, Mark Thomas, Spiegelau and much more! Our glasses are suitable for all budget types, so whether it’s a small gift of just a couple of glasses or a whole collection of different grape variety glasses you’re after, we cover it all! If you can’t find or decide what you’re after, feel free to give us a call and we can help you (01903 786148). Storing glassware in a cupboard is such a waste, why not show your glassware off in style and use a wine glass hanging rack instead! They allow you to stored your stemmed glassware effortlessly and you can easily access them when you require, it also prevents you from knocking them over if stored in a cupboard and potentially breaking one or two! 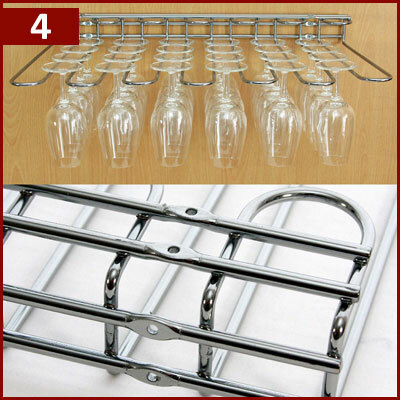 We offer two different styles, our very own exclusive Dual Fix glass hanging rack which can be fixed to either the wall or under a shelf, or the standard shelf fix hanging rack available in either 1, 2, 3 or 4 columns wide. Wineware’s selection of wine bottle bags offer great protection and allow you to transport bottles of wine safely and effectively. They reduce the risk of breaking bottles of wine or spirits, allowing you to transport them in a suitcase or bag in your checked in luggage on a flight. So whether you’re taking some bottles of wine with your on your holiday and bringing a lovely bottle home, these travel bags are the ideal solution! 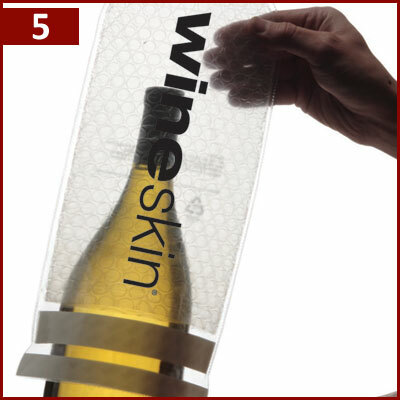 We have two different wine bottle travel / protection bags from WineSkin and JetBag, both offer a similar, yet different solution. If you can’t decide which wine gift to get your loved ones, why not let them decide for themselves with a Wineware Gift Voucher instead! Then they can choose the perfect wine glasses or wine accessories themselves, you have until 12 Noon on Tuesday 22nd December to purchase your Wineware Christmas Gift for guaranteed pre-Christmas dispatch!